According to the Democrat, the photos were taken in 2005, shortly after Ertel had become supervisor of elections in Seminole County, and depict Ertel in blackface wearing a New Orleans Saints bandanna around his head and a shirt with the words “Katrina Victim” written on it. Ertel confirmed to the paper he was the man in the photos last week, the Democrat reported. The paper shared the photos with the governor’s office Thursday, which had not previously seen the photos. “There’s nothing I can say,” Ertel told the paper. He did not respond to a request for comment. 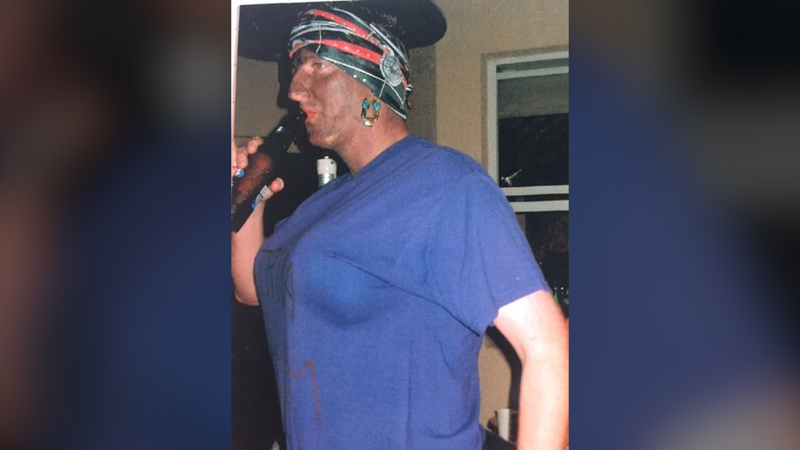 This photo shows Michael Ertel, then the Seminole County supervisor of elections, in blackface as a Hurricane Katrina victim at a Halloween party in 2005. The photo was obtained through a public records request after it was shown to the governor’s office.